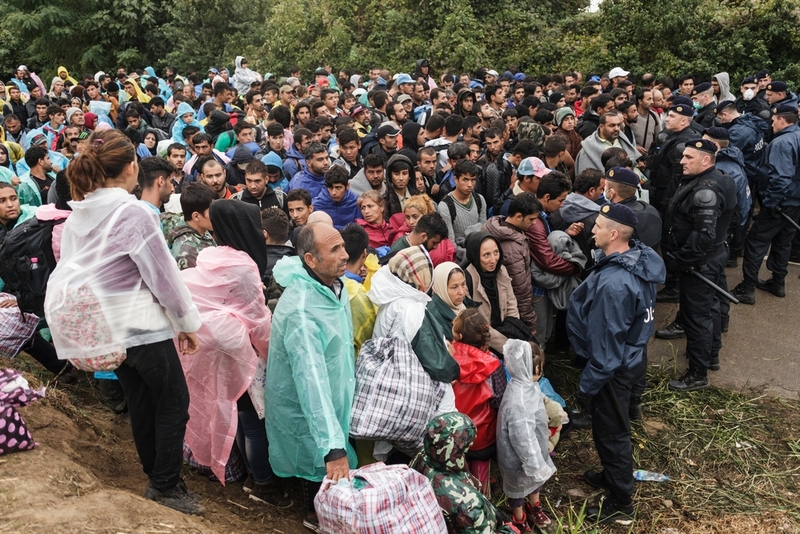 Thousands of refugees and migrants in the Balkans, stranded due to delays at border crossings and registration points, have been exposed to conditions that pose a real threat to their health as assistance fails to meet minimum standards, said Médecins Sans Frontières (MSF). The most recent pressure point has been in Presevo, close to the border with Macedonia, where an average of 5000 persons transit every day. Most of them have been stranded in a queue, including during heavy rainfall, for days at a time with minimal access to food, water, shelter and toilets. Refugees and migrants waiting on the Serbian side of the Jemena border hoping to enter into Croatia. “Over the past weeks we’ve had very young children coming to us for treatment for hypothermia,” said Dr Alberto Martinez Polis, MSF’s Medical Activity Manager in Serbia. “Last week we also treated ten patients who had collapsed, something we’ve never seen before in Presevo,” continued Doctor Martinez Polis. “In some cases, this was been due to the pressure of the crowd, or because people had not eaten, drunk or slept properly for days." "People tell our doctors that they are scared to leave the queue as they might lose their family or their place in the line. Others have reached their limit and this can have physical consequences." MSF’s medical teams in Serbia are treating more than 400 patients every day - numbers have dramatically increased in recent weeks along with the flows of refugees. Refugees and migrants wait on the Serbian side of the Bapska border crossing, hoping to enter into Croatia. The majority need treatment for conditions such as coughs, colds, flu, gastrointestinal issues and skin problems, which are often a direct result of the conditions they have faced on their journeys. Other patients are treated for chronic medical issues such as diabetes, asthma and heart problems which have been poorly managed, deteriorating on the course of their journey. The teams also see serious cases who need more advanced treatment. This week patients presented with cancer, lymphoma and congenital heart defects. MSF doctor Boris Jegorovic providing medical treatment to refugees waiting to cross in to Croatia, at the Bapska border crossing. 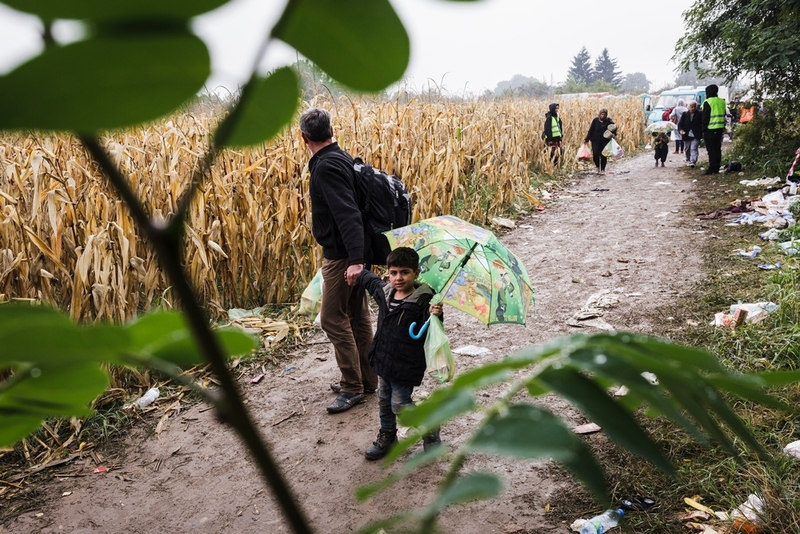 “Our patients, who include babies as young as two weeks old, elderly people and women often in very late stages of pregnancy, are already tired and weak when they reach Serbia,” said MSF’s head of mission in Serbia, Stephane Moissaing. “The lack of basic services to receive them has real consequences. We are extremely concerned that the situation will become far more serious this winter. Already there are more people crossing into Serbia every day than there are places to receive them. 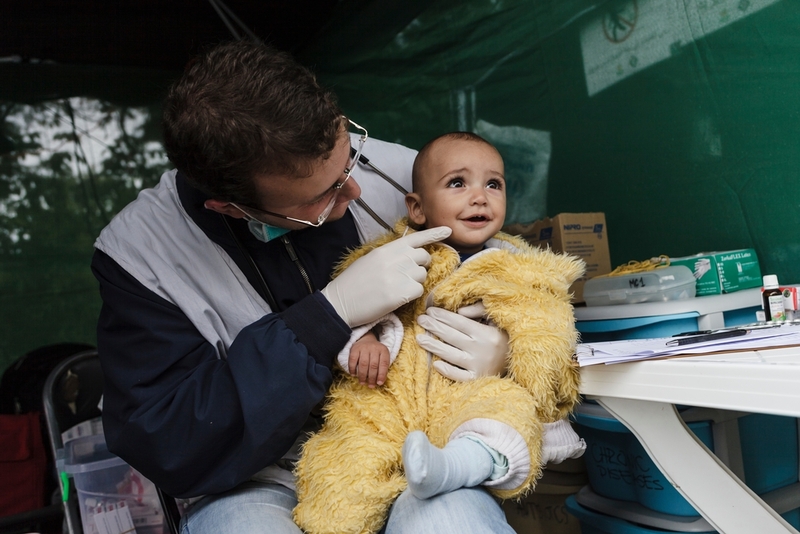 10 month old Abdul Karim from Syria receives medical treatment from MSF doctor Boris Jegorovic at the Bapska border crossing in Serbia. Serbian winters can be bitterly cold – as low as minus 15. 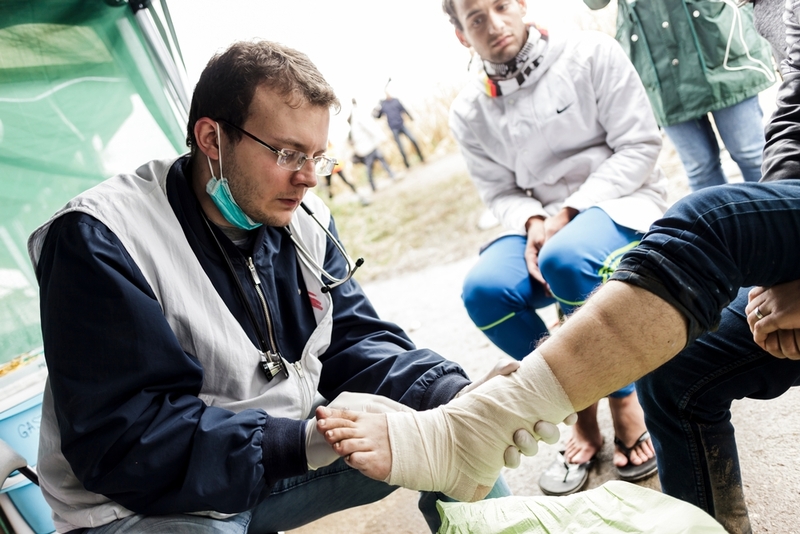 Last year MSF’s teams in Serbia treated 2 people for severe frostbite – one patient lost part of his foot and others peeled off layers of their skin when they removed their clothes due to the condition. 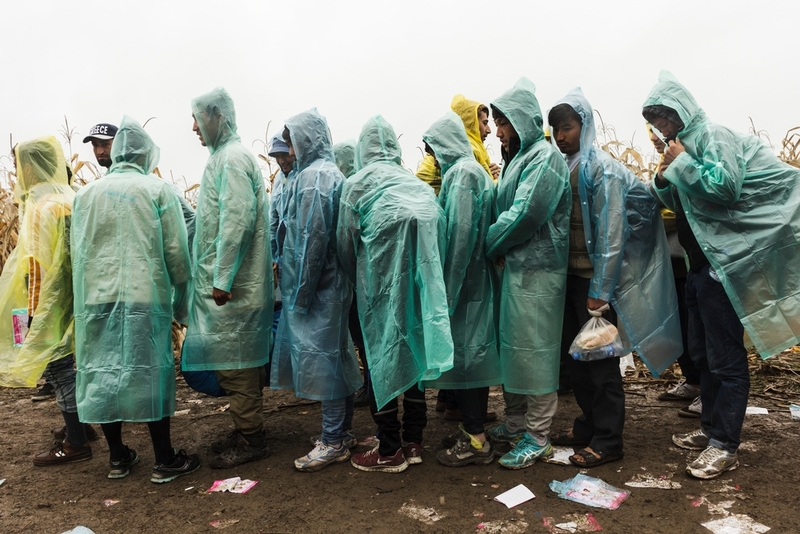 Although the numbers who will make the crossing this winter are unpredictable, MSF is preparing for a large number of patients, recruiting more medical staff and increasing its stocks of tents, blankets, raincoats, and winter clothing. Hygiene conditions tend to deteriorate during winter because people cannot find places to wash themselves and their clothes, leading to an increase in skin diseases and lice infections, so the team is also preparing hygiene kits. 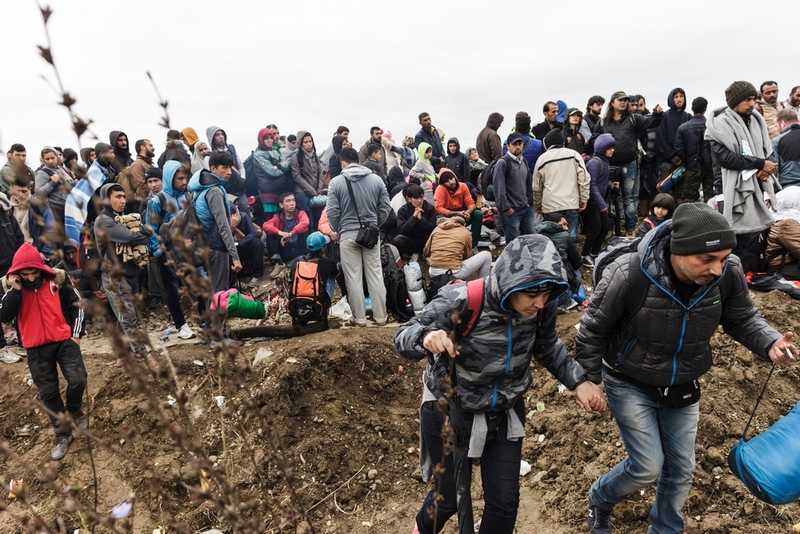 “Although we have seen a positive impact of the organised transit across FYROM and Serbia since July, thousands of vulnerable people continue to be exposed to unnecessary suffering on their journey through the Balkans" says Aurelie Ponthieu, MSF’s Humanitarian Adviser on Displacement. “The lack of basic services is already having an impact on their health, and the situation will only get worse this winter if adequate shelters, warm food and hygiene facilities at registration and transportation points are not rapidly provided." "We cannot wait for a dramatic event to happen, safe and adequate transit conditions, adapted to the coming low temperatures need to be guaranteed now”.